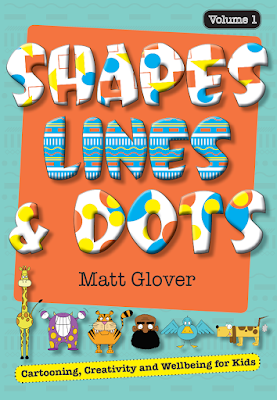 Cartoonist Matt Glover has created a cartoon book filled with characters to draw, drawing activities to try, and tips to develop your skills. More than one hundred characters are divided into categories: monsters, bugs and mini beasts, birds, cats, dogs, sea creatures, farm animals, wild animals, and people. Each one has step-by-step instructions. Some are cute (like the CT Monster) and all are easy to follow. The categories each end with drawing activities designed to encourage mindfulness. For example: collecting shells and turning them into cartoon characters, exploring the pantry for food that comes from a farm and incorporating it into a cartoon, and finding a feather and using it for drawing inspiration. Matt’s stated intention is for these mindfulness activities is to lead children to 'observe the world around them, be present in the moment, contribute to their own wellbeing and have fun at the same time'. They will certainly encourage imagination and creativity. 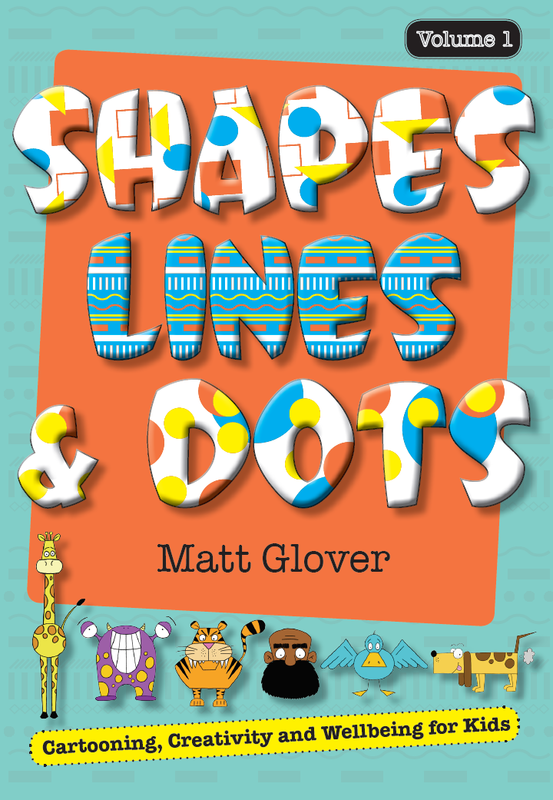 Shapes, Lines & Dots is colourful and has a clean, simple design which makes it extremely suited to beginners, while also able to be enjoyed by all ages and abilities. Grab your pencil and paper and get started! You can order a copy right here.